When I first moved to Vancouver from Toronto, I wasn’t in the best mind frame. I had gained about 10 pounds, I no longer had a full time job, and didn’t really have a social circle of my own. I was miserable, but I also wasn’t doing anything about it. It was a friend who finally introduced me to the Practice Studio in Yaletown, which helped me turn my life around. “We exist to have your whole life work”. That is the motto at the Practice Studio. 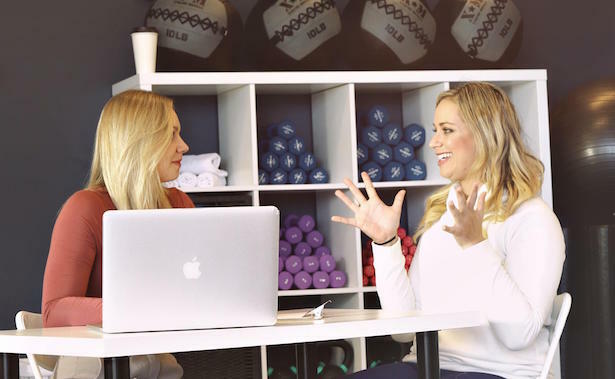 Instead of having multiple studios to reach your fitness and life goals, the Practice Studio allows you a one-stop shop to help you reach all of your goals in one place. The practice studio isn’t just a gym for your body, but a gym for your mind. It focuses on four of life’s pillars; Nutrition, Mindfulness, Personal Training, and Life Coaching. They give you the tools to really change your life. I joined the Practice for three months focusing on all of these areas of my life and I wanted to share my experience with you. Mindfullness: I had never practiced mindfulness and meditation in the past, so this was a challenge for me. Working with the Practice studio and my meditation weekly, I realized what a valuable asset it can be to your overall health. We worked on breathing techniques, mantras, and different forms of meditation to help me be more in tune with my body and mind. I noticed a big difference in my ability to stay calm and collected in stressful situations. Nutrition: What I loved about the nutrition pillar is that it wasn’t a diet, instead it was making a lifestyle change. During our first meeting we went over nutrition goals, meal plans, and struggles that might come up during the journey. I would be given different home work assignments like journaling and meal preps. I was even taken on a grocery tour to learn what ingredients I should look for. 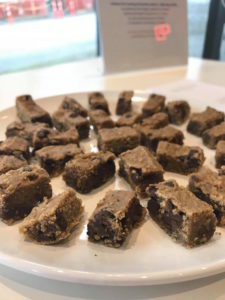 Through education, I was able to create meals that field my body and kept me energized. Fitness: What drew me to the Practice Studio in the first place was their unique fitness classes. They combine weight training and cardio through different exercises. They have everything from TRX, to kettle bell, to trampoline specific workouts. Their personal training sessions are just as unique as their classes. 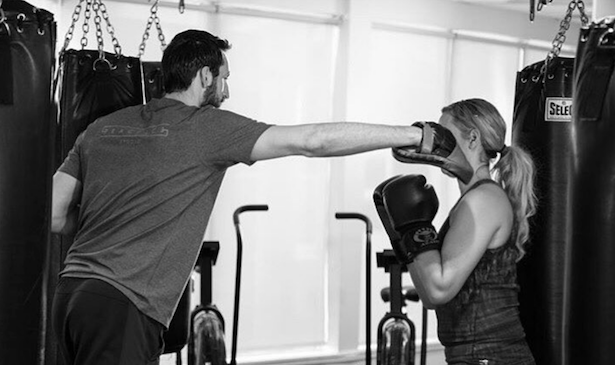 The trainers have experience creating different and fun classes to meet your fitness needs. In my first session we came up with a list of goals that I wanted to achieve. We also talked about what inspires me to want to work out, which is making sure the sessions were new and exciting. My trainer really listened to me and each one of our meetings was different, which kept me engaged from start to finish. We did circuits, mixed weights, even worked out outside. They were hard, but enjoyable training sessions, and I felt accomplished after each one of them. Life Coaching: This was the real game changer for me. I met with my life coach once a week. The first session we came up with a life wheel, and decided the areas of my life that I really wanted to focus on improving. Each session we would start talking about what was on my mind. An easy and casual conversation like I would have with my friend. My coach really listened and helped me understand aspects of my life, why I acted a certain way in different situations, and what was holding me back from reaching my true potential. We would talk, and ask questions, and really figure out what was going on inside me head. We worked on different exercises from journaling to trying different forms of communication with people in my life. All in hopes of improving the different areas I wanted to work on, and making me a more confident person overall. Since my three month session has come to an end, I reached every single one of the goals that we set out. Through my personal training and nutrition I lost 3% body fat and 6 pounds. I was able to hike mountains without getting tired. I started to be more social, and had the confidence in myself to go after a job with a national network. My life did a 180 and I was finally happy with where I was in my life. Instead of a gym that focuses on your fitness, this is a gym that focuses on improving your whole life.